Many men when they grow a beard feel like they are connected to ancestors who lived a couple of centuries ago. Those manly men who hunted their own food, chopped down trees, and carved a civilization out of the wilderness, doing it all with beard. 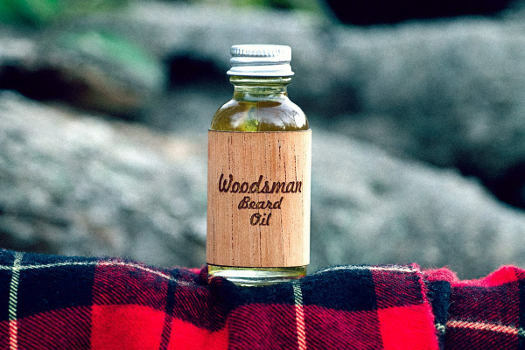 So, what other beard oil would modern men choose than one that expresses their feeling of a man living the rugged life, which may be one reason why Woodsman beard oil is so popular. A 1 ounce bottle can last you a few months. Depending on the length of your beard hair, couple of drops are enough for a whole day. It comes with a dropper top so it´s easy to put a few drops in your palm, spread a little in your hands and apply upwards to your beard. After the application, just comb or brush your beard downwards to spread it evenly. I always apply under the hair to get close to my skin which will prevent any itchy feeling. I find that the chin area tends to dry up faster so make sure to oil this area. Safflower, almond, Grape seed, jojoba, Argan, Castor, Olive oils scented with Texas Cedarwood and Pine needle oil. Woodsman beard oil doesn’t rely on a lot of ingredients, but the ingredients included are designed to make that beard feel incredibly soft and manageable. The scent of cedarwood and pine will leave you smelling like you have spent the day in the great outdoors. Reviews for the Woodsman beard oil couldn’t be much better. Most of the men who have tried it really like what it does for their facial hair. Great Scent: The scent is not overpowering, but men like the masculine aroma of this oil. Easily Penetrates Thick Beards: Users really like the fact that just a few drops are needed to penetrate those thicker and fuller beards, working in to the individual hairs and leaving them both softer and more manageable. You don’t have to take part in a beard competition to want a great looking beard that is easy to manage and style, and with Woodsman beard oil, users are finding that they have healthier, softer and more manageable beards of which they can be proud. I have also reviewed some of the top beard oils which you can read here..